There are some questions in this world that I may never know the answers to. Why do they put life jackets under airplane seats and not parachutes? Why did Japanese kamikaze pilots in WWII wear helmets? Why does this $40 online slots system work so well? In the case of this $40 slots system, I don’t even care to know the answer, I’m just glad it has worked so well for me! Try it out for yourself and see if this slots system work for you as well. 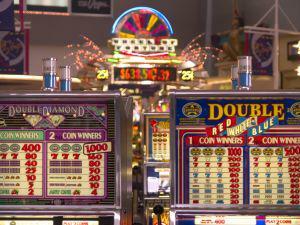 Before you start, download a free slots game to test out this online slots strategy for yourself. All right, we know the generalities of the system. Let’s get granular and get this tutorial started. A decent memory, or a pad of paper to record your results with. Once you have your favorite online slot open, choose to bet on 9 lines by selecting the number 9 on either the left or right hand side of the reels. Now, there should only be $1.75 of your original $40. Drop the number of lines to 7 and keep the bet at 25 cents per line. After the end of the final spin you should have spent exactly $40. I have no idea why this system works, but most of the time I end up winning money when I use it, so I am passing it on to you. What is your favorite system to use at the online slots? Does this one work well for you? Let me know in the comment section below!